The tomatoes are coming fast and furious from our garden. As you have seen in previous posts we are eating many of them in fresh salads. I had a bit of a back log growing in my fridge so I decided to make some tomato soup. Tomatoes are one of the healthiest vegetables, technically a fruit, around because of the lycopene found in them. This carotenoid found in tomatoes (and everything made from them) has been extensively studied for its antioxidant and cancer-preventing properties. The antioxidant function of lycopene - its ability to help protect cells and other structures in the body from oxygen damage - has been linked in human research to the protection of DNA (our genetic material) inside of white blood cells. Prevention of heart disease has been shown to be another antioxidant role played by lycopene. two minutes. Remove from heat and cool slightly. with the salt and pepper. Simmer for 1 minutes. Place equal portions in each of 4 shallow soup bowls. Garnish the chervil or parsley. Nice to find your blog. I have used your "uncheese mix" recipe(if that's you...) from VegWeb several times!!! Let me know if the soup works out for you! I can't take credit for the "uncheese mix," sadly that wasn't me! Sounds like a good recipe though... can you link me to it? Here is the link for the "uncheese mix". The author is "DragonFly".. LOL!! Thanks broke vegan... I will check out this link now. That's funny about the dragonslayer vs. dragonfly.. I love dragon flies! my four year old helped me pick them out... she insisted on the bowls. 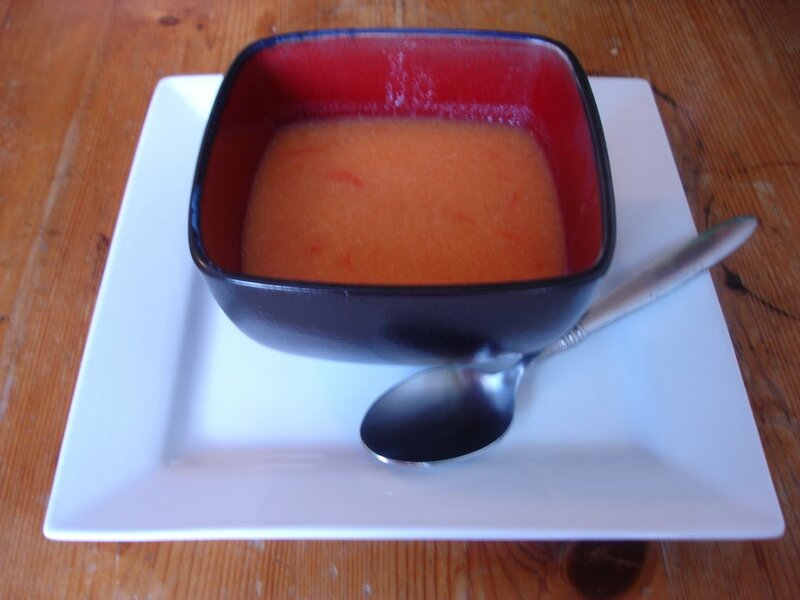 Wow, HOMEMADE tomato soup. Wow. Dr. Melissa West is a holistic lifestyle coach who helps people with weight loss and maintenance programs. Have I told you how much I love pie? Can you help my amazing coach?